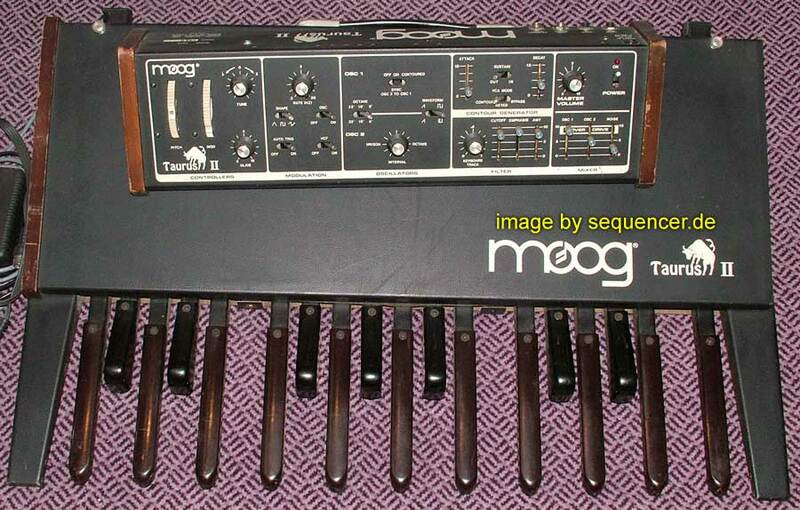 MOOG SYNTHESIZER CLICK ON THE IMAGE TO ENLARGE!!! 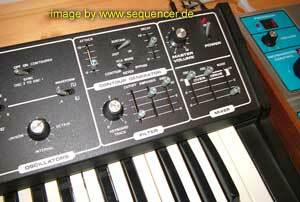 the Moog that you may replace by the Andromeda now ? 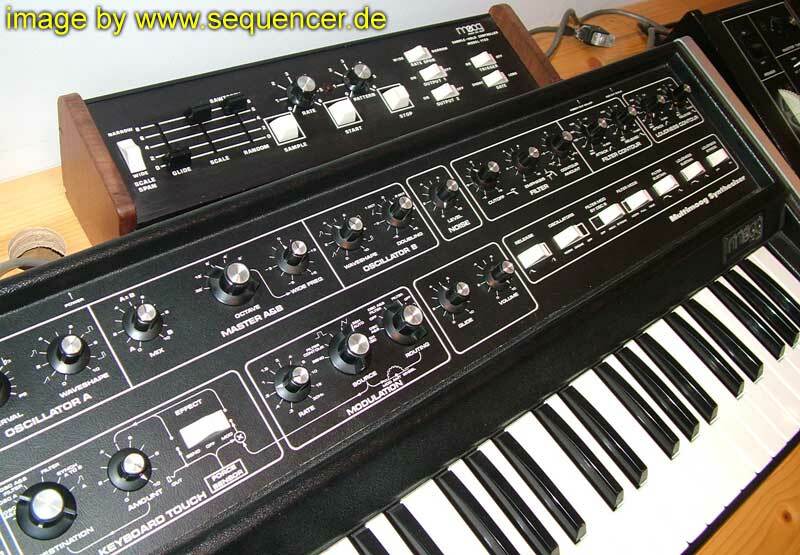 ;-)) well its still great and has been my dream but it is know as quite "service demanding".. and the Andro has real Moog filters, too.. well.. they are still not the same.. this machine is still one of the nicest of those Keyboard--Moogs..
3 VCOs with PWM each and unlike the minimoog it has a dedicated LFO,so you do not NEED to use VCO3 for modulation purposes. you want the Memory moog as a 6 voice minimoog? 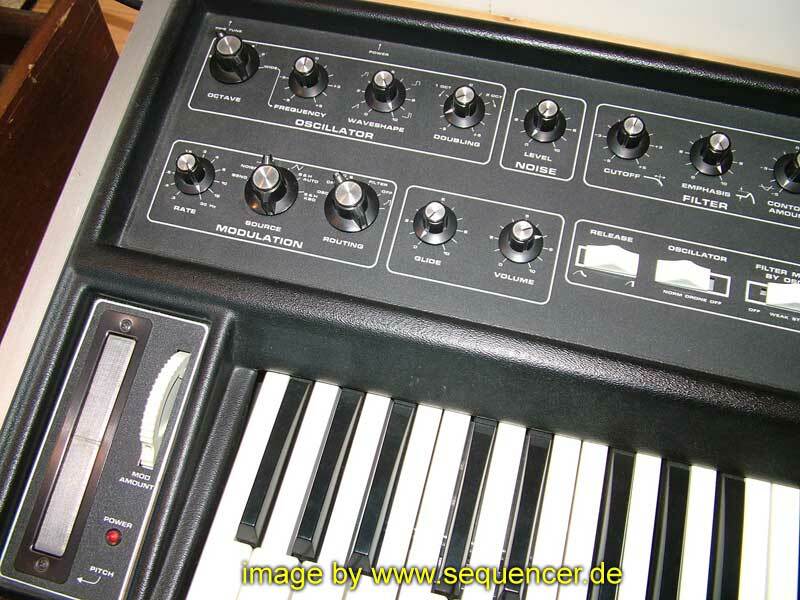 hmm, well the memory was a curtis based synth opposed to dicrete electronics in the mini, it sounds a bit fatter and warmer, nevertheless it is a good sounding synth. 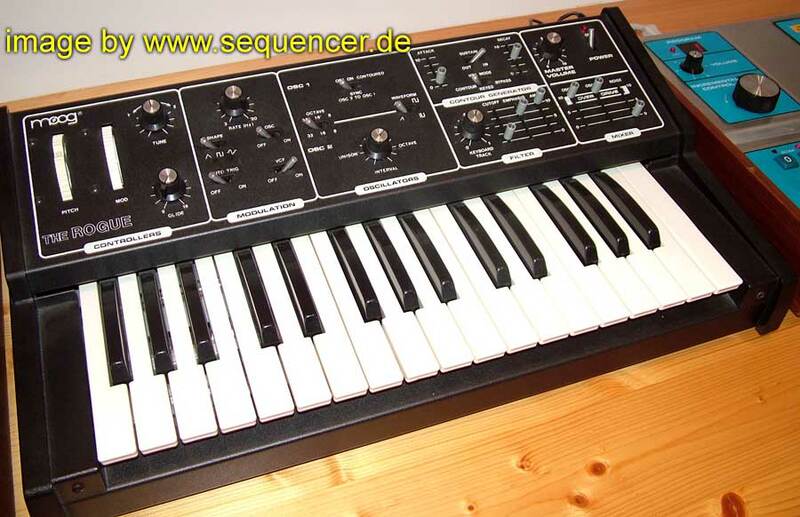 if you want a moog you could also check for a crumar spirit, which was built with mr moogs help.. ok, it's a different machine.. anyway, it's very hard to find. 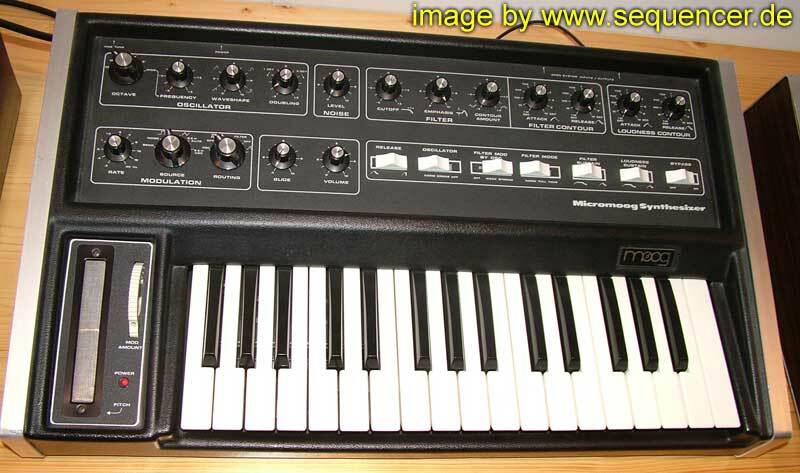 the Memorymoog is an interesting machine, maybe the newer synth to think of is the alesis andromeda.. but it compares a bit like the memory to a mini in sound..
and the monophonic range continues..
the Micro moog is a smaller "version".. reduced features..
just one knob to set the 2 VCOs octaves but another pot to set the detune or unison setting..
same for the waveforms: just one switch for both..
both VCOs have only one Waveform switch, so it's the same waveforms..
the lower pics can be enlarged (click on it)..
very much like the Rogue, but you can not set the VCOs to different octave settings and waveforms..
still 2 VCOs and a nice sound.. both rogue and mg1 sound a bit more "rough" than the prodigy, minimoog etc. compared to the Rogue it has a waveform selctor switch for each VCO, so this is the difference..
the upper pic can be enlarged (click on it)..
the can be enlarged (click on it)..
the MOOG MINIMOOG .. DER SYNTHESIZER! 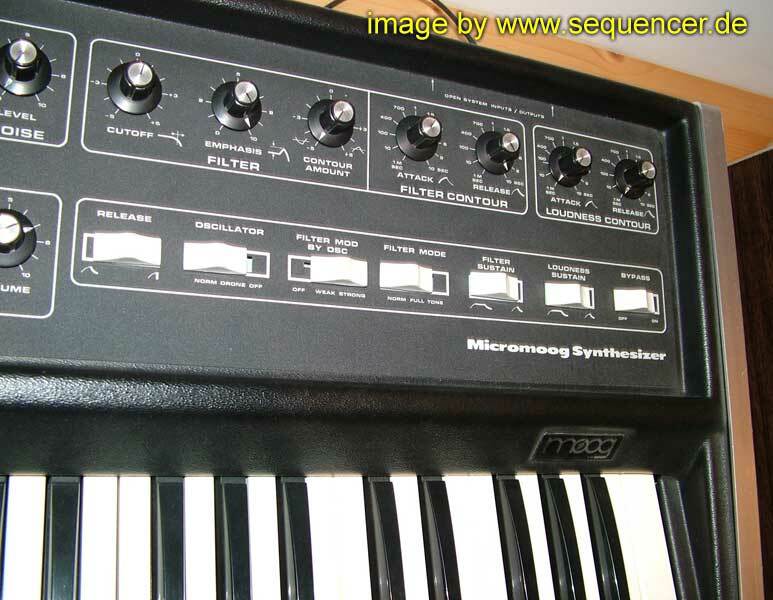 the Moog Sonic IV was not really a "moog".. it was a musonics who bought moog, you can find some (rare) minimoogs with "musonics" label,too..
the Sonic V is a Musonics Synth Proto, not many made of the "V"
some pics can be enlarged (click on it)..
Moog Sonic Six the panel..
.. not a Prodigy! 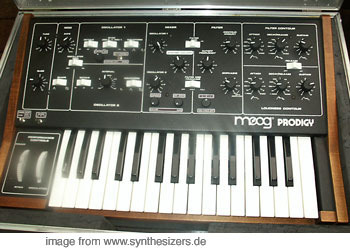 but close..
well, this is more the "preset" way of a moog.. with different sections..
the new knobs are: OSC: pitch mod ENV sens. 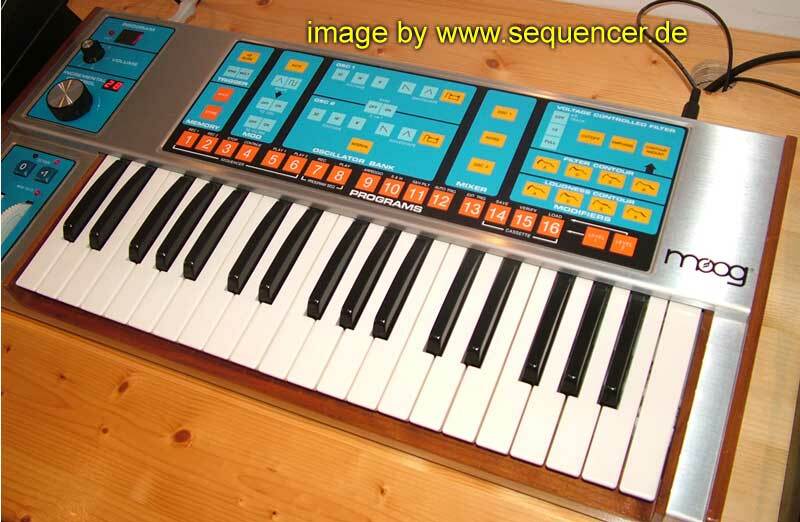 and switch wheel/ENV, mid: force sensor amount (aftertouch, the FSR sits under the keys!! 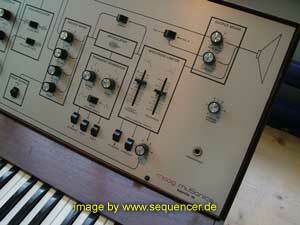 ), ext in amount and gain and ringmod amount, switches (beside the wheel): osct +1/-1 and pitch wheel mode sync or pitch! 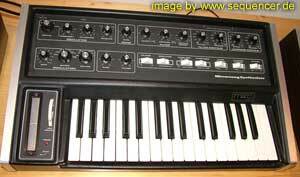 note: the power unit / interface is a 2 Unit Rack..
the "digital" Moog, no knobs but buttons.. anyway it did not sound bad..
the Polymoog is FULL POLYPHONIC. 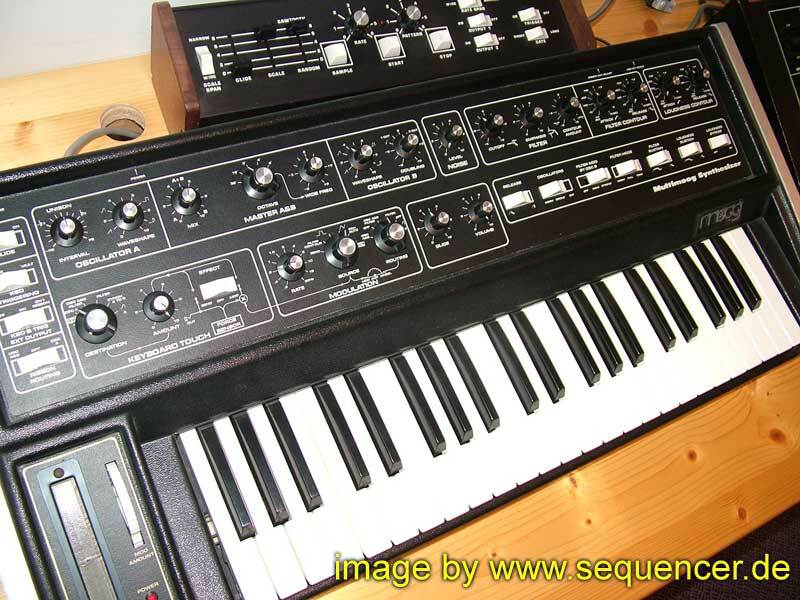 the POLYMOOG Keyboard is a smaller "preset" version of the polymoog, it has a triple filterbank and has a kind of "offset" programming scheme.. hard to repair. 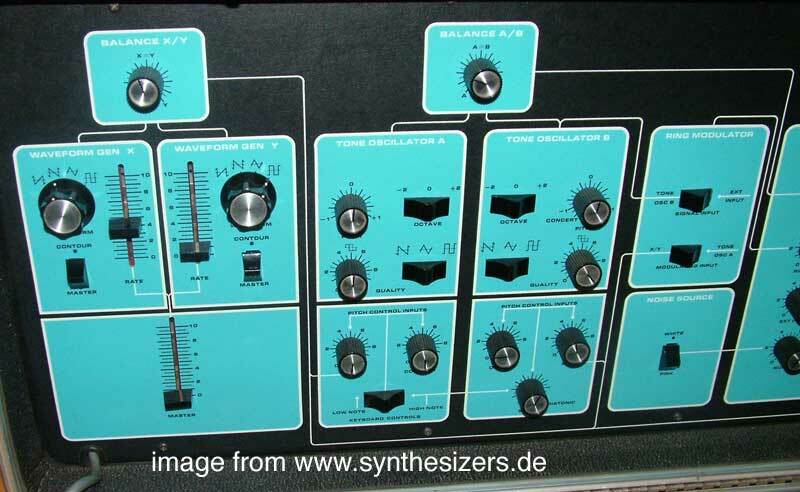 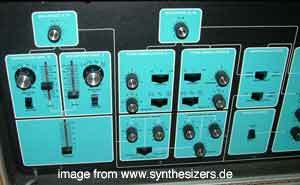 the filterbank can be seen here and the frequency divider based FULL polyphonic osc section.. 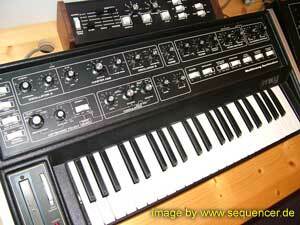 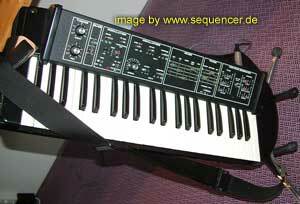 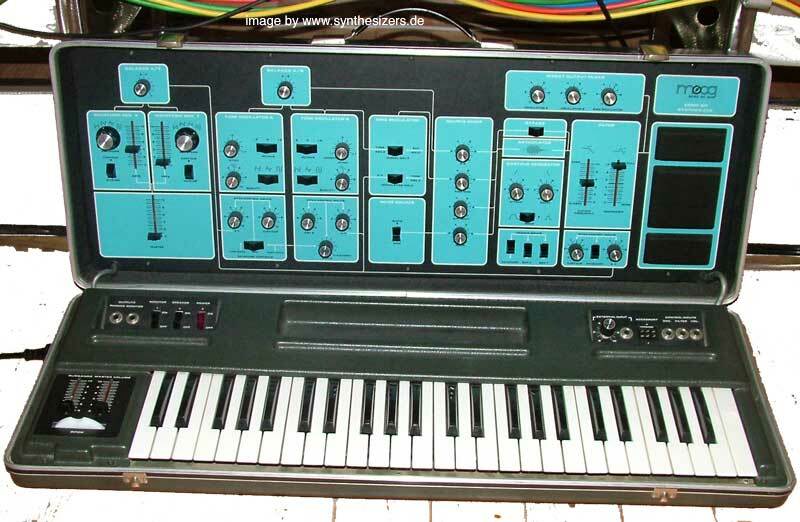 THE POLYMOOG Keyboard (preset version, knobs "missing" here! 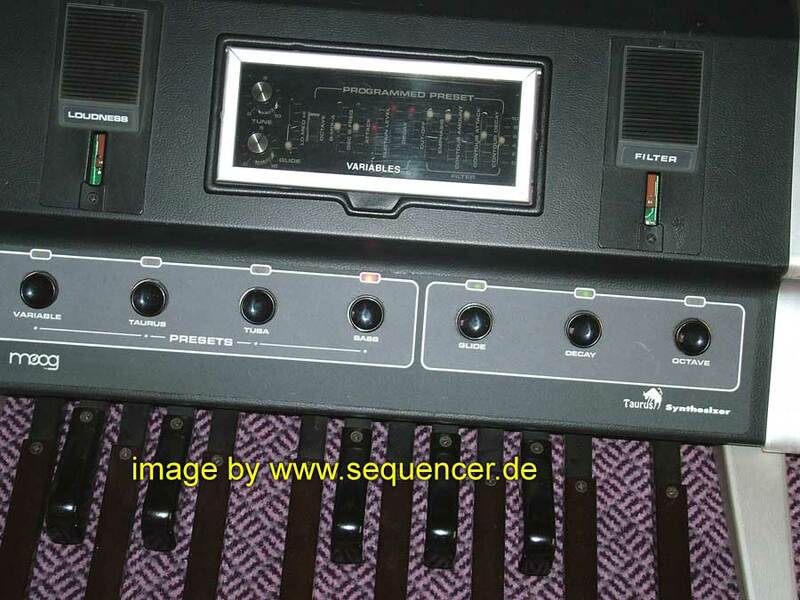 playing bass with your feet? 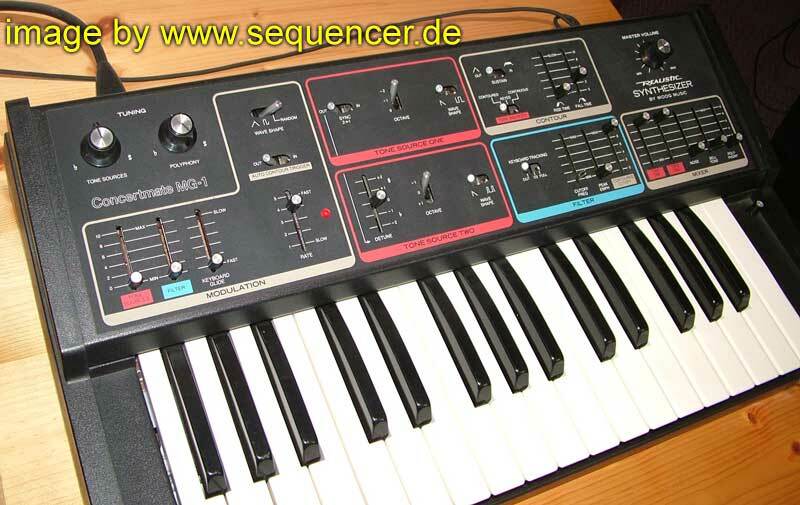 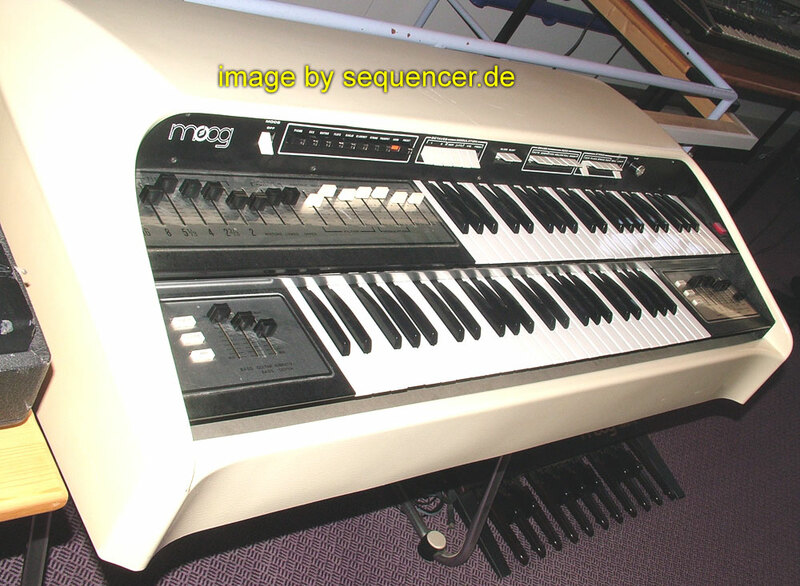 the moog taurus is a simple bass synth..
Taurus II, very much like a rogue with no keyboard..
afaik the only "moog organ" I know of..
http://www.lintronics.de/ Tel. 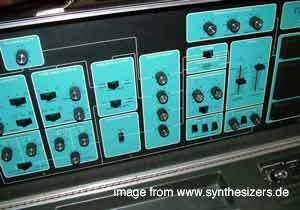 0911-767516 Fax 0911-7670967 E-mail: info@lintronics.biz. 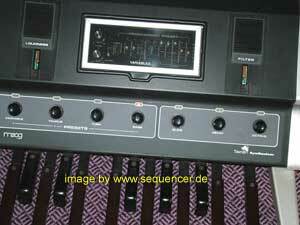 LINTRONICS, Rudi Linhard, Ahornstr. 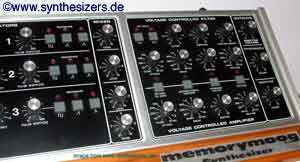 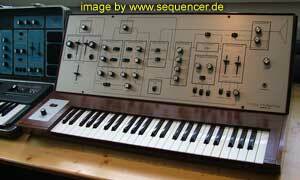 1c 90765 Fürth, Germany - the BEST memorymoog & minimoog doctor on earth! 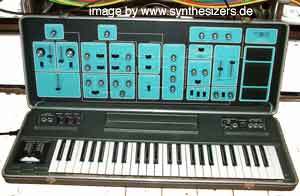 also does the minimoog and minimoog voyager midi implementation and is able to make the voyager really fit for europe (CE-norm!) 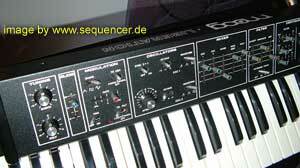 also best for real PERFECT midi - kits for minimoog and memorymoog. incl. midi control of the panel knobs! 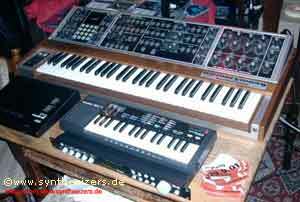 BKS : Analogs Solutions,specialized in Moog and PPG modulars. 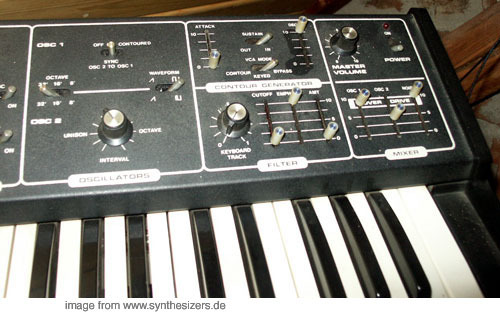 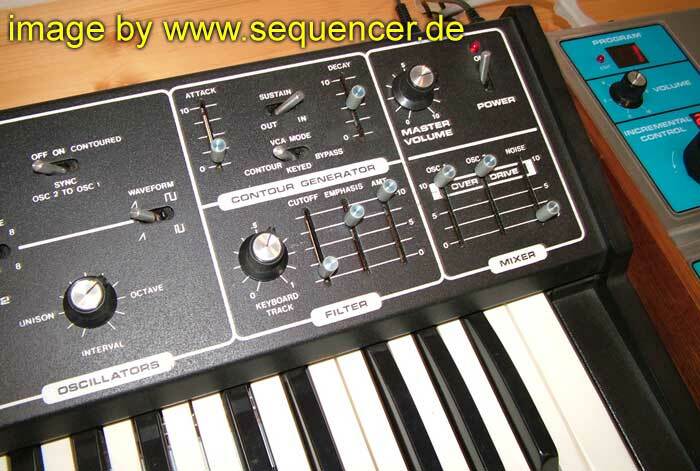 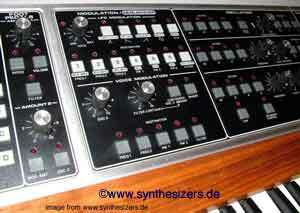 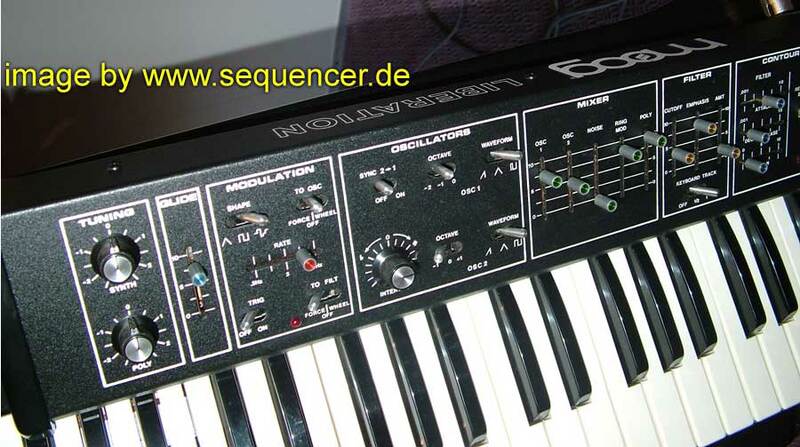 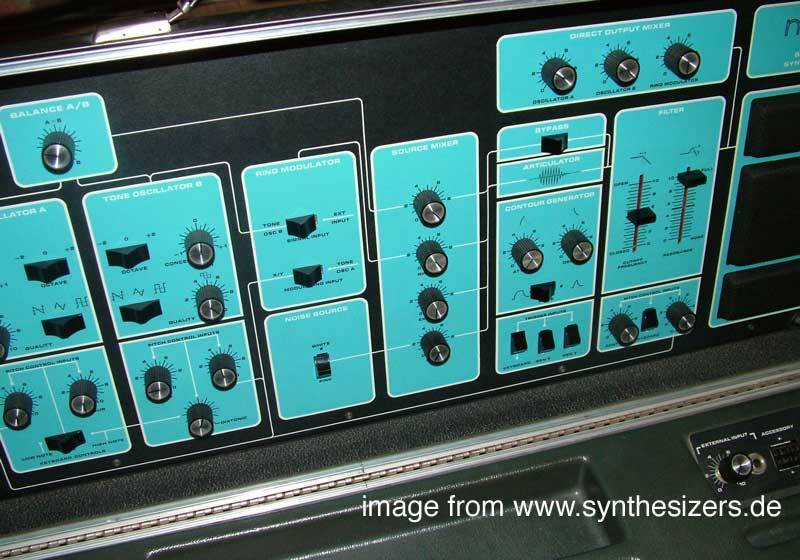 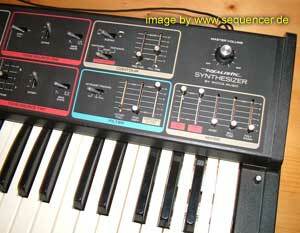 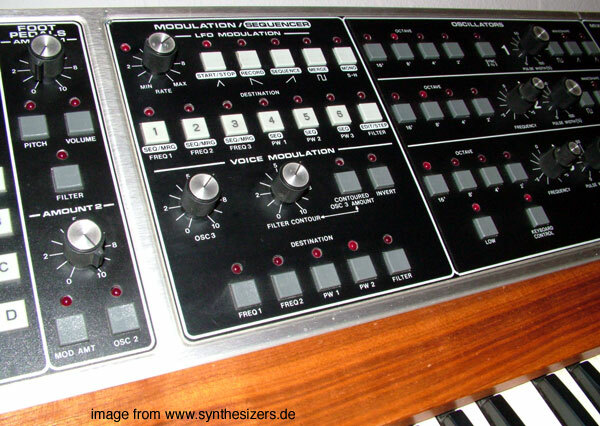 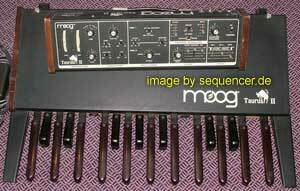 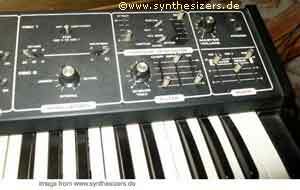 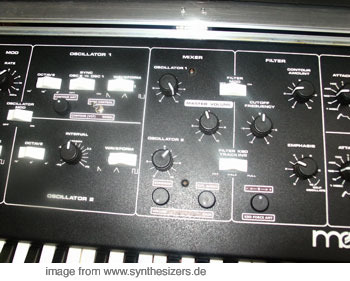 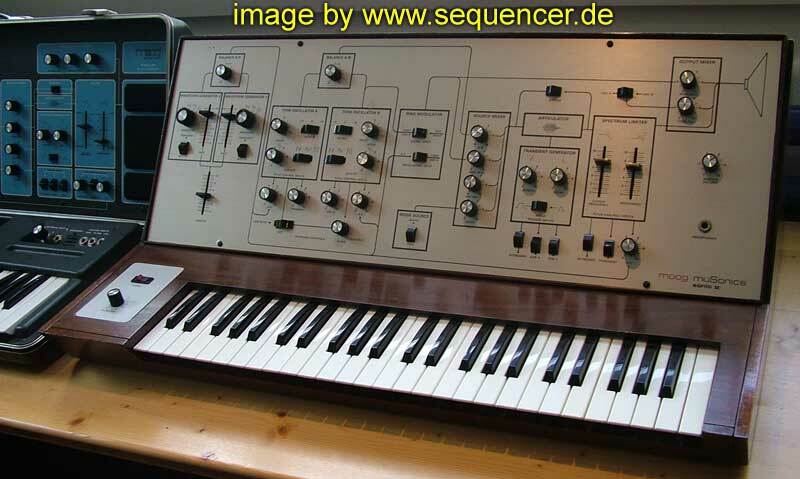 moog related links: a nice moog site more info?